The Ducati Scrambler family is as an urban, hipster, neo-retro range, a clear departure from the performance-oriented, and engaging sportbikes the brand is known for. 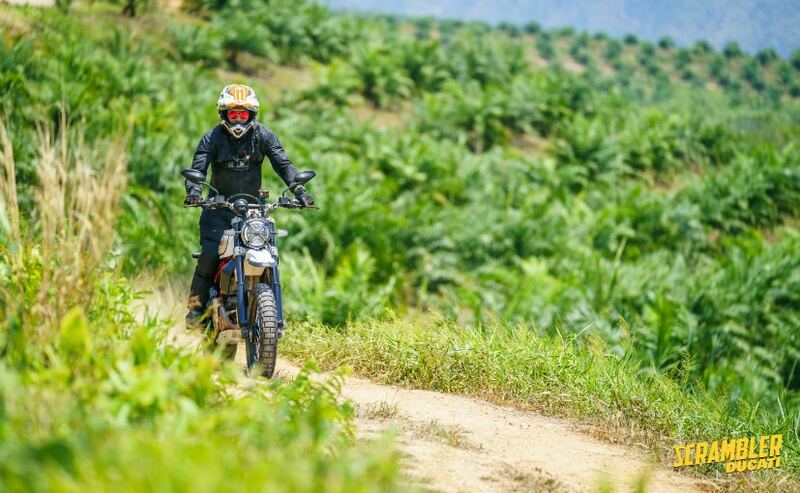 For 2019, the Scrambler range has been updated and now gets even more security, in the form of Bosch cornering anti-lock braking system (ABS). The The Ducati Scrambler Desert Sled is the off-road ready variant in the Ducati Scrambler family. It’s more expensive than the standard Scrambler Icon, and is taller, with higher ground clearance, more suspension travel, spoked wheels, with a larger 19-inch front wheel for real off-road capability. The Desert Sled is the ideal neo-retro Scrambler and it’s the model which does justice to the ‘Scrambler’ lineage. Named after the 1960s, and ’70s street bikes modified for desert racing, the Desert Sled is more than just a neo-retro Scrambler with off-road styling. 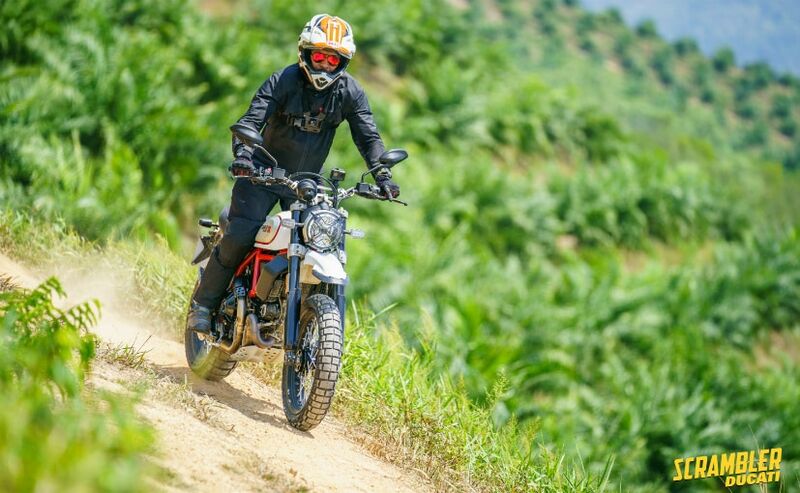 For 2019, the Scrambler Urban Enduro has been discontinued, and it will be the Desert Sled which will boast of more fun, more off-road cred in the Scrambler family, with a beefed-up frame, a slightly longer swingarm, stronger triple clamp and fatter front forks with more travel. 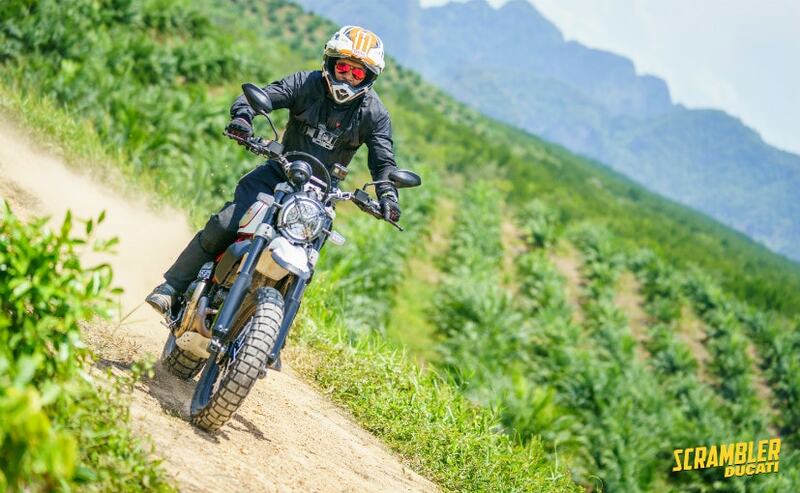 We spent some time checking out the new Scrambler Desert Sled on some gravel mountain roads and on tarmac in Thailand. The 2019 Scrambler Desert Sled remains more or less unchanged from the outgoing model, except for a few minor changes. The Desert Sled also gets premium LED lighting all round, including LED turn indicators, and the frame has been painted red and reinforced for off-road use. The high front mudguard and extended rear fender are reminiscent of real ’70s dirt bike design, and the front Kayaba suspension with 46 mm upside down fork with 200 mm clearance. For more rugged use, the Desert Sled also comes with spoked wheels, with a larger 19-inch front wheel, and shod with Pirellu Scorpion Rally tyres to take on the rough. Like the Scrambler Icon, the Desert Sled also gets a new seat with plusher seat material, and a slightly different riding position. But the wider handlebar with the cross-brace and the taller stance make it feel like a slightly different bike than the Icon, giving it a more upright, and purposeful stance. In fact, to me, the wider handlebar also made the Desert Sled feel even more planted, whether around a corner on tarmac, or while exploring some gravel roads. The Desert Sled looks straight out of the ’70s with its throwback looks, and that’s perhaps the coolest part of its persona – the design. But this is no poser, and has decent off-road ability as well. 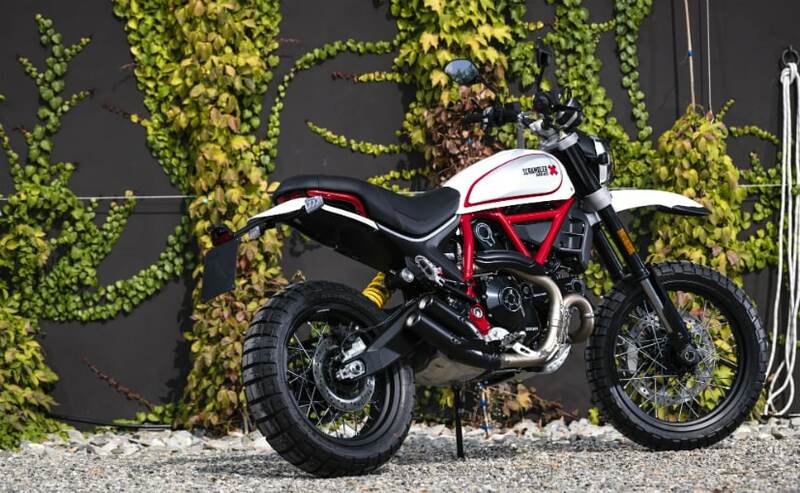 The new Scrambler Desert Sled also comes with a dedicated Off-Road setting now, which disables ABS on the rear wheel completely, and yes, we’re happy to report that it’s the Desert Sled which has got true-blue off-road cred among the Ducati Scrambler line-up. The 803 cc, L-twin has familiar performance, not too intimidating for newer and less experienced riders, but with enough punch to keep you suitably entertained. The knobby tyres may not be suitable for high speed corner carving, but they offer decent traction on gravel and sandy sections, and the 803 cc, v-twin (L-twin in Ducati-speak) has enough grunt to slide it around the dirt, without you ever having to think of things going out of control. 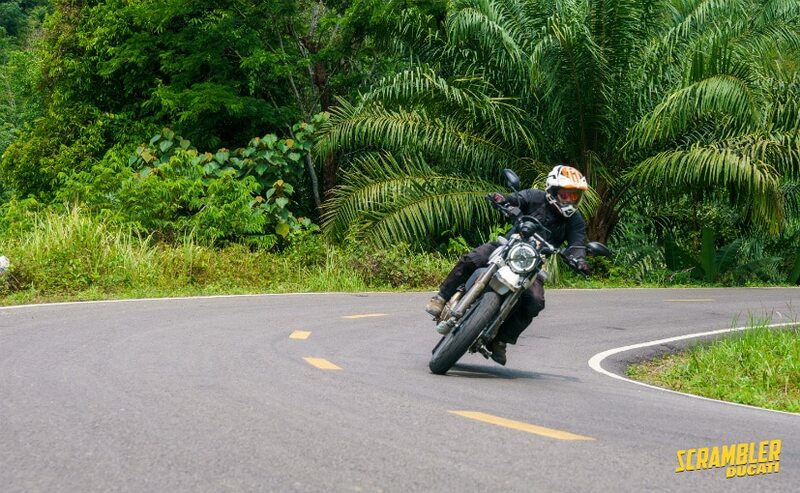 And no, there’s no traction control system or such to help you rein in when things go out of hand, so try sliding it around at your own peril, and based on your experience and riding skills. The Ducati Scrambler Desert Sled is a cool-looking bike, straight out of a 1970s movie, with high fenders and genuine off-road ready looks. The beefed-up suspension, standard bash plate, spoked wheels and reinforced suspension does allow you to get a little adventurous when you feel like. But like all Scramblers, this one will likely spend most of its time on tarmac, and it’s pretty competent there as well. The 70-odd horsepower is adequate and for those interested in touring, the Desert Sled will offer decent cruising speed to cover long distances. But keep in mind, this is no sport tourer, or middleweight adventure bike, so the lack of wind protection and any real, comfortable pillion carrying capability may be something you need to consider if that’s the kind of riding you’re going to be doing over long distances. 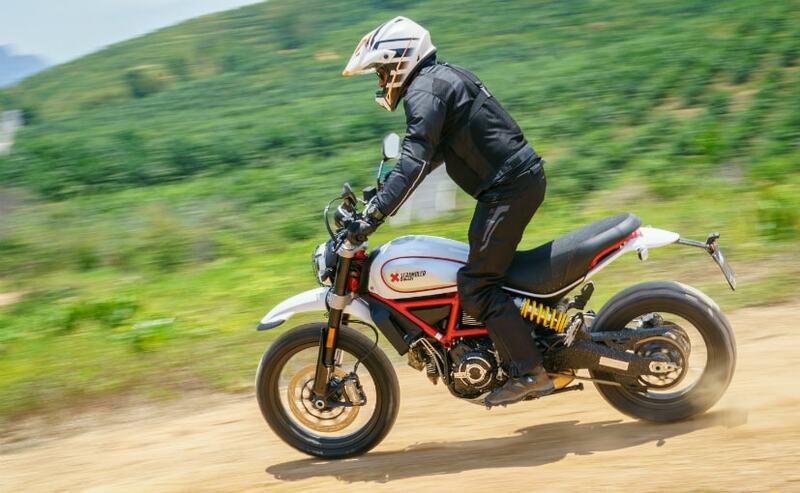 The Ducati Scrambler Desert Sled is a very enjoyable bike to ride, period! Retro-cool looks, coupled with the upright riding position and torquey L-twin engine make it a hoot to ride, whether around a twisty mountain road, or while tackling some off-road terrain and hilly, gravel roads. And yes, it’s a hoot to ride off-road; whether you have some experience riding off-road, or whether you intend to start off-road riding, the Desert Sled can certainly make for a very enjoyable and entertaining companion. It looks good, and certainly makes a statement, if that’s what you’re looking for from your ride. And then, it’s a Ducati after all, for the brand and image conscious. 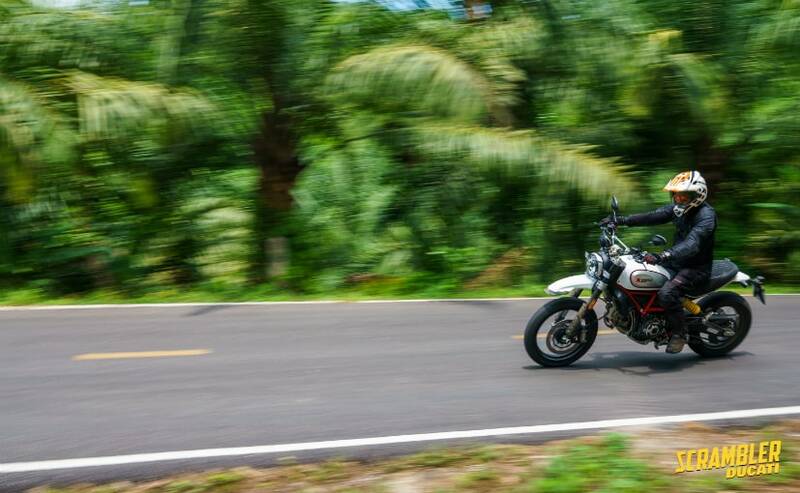 This is my first time riding the Ducati Scrambler Desert Sled. A number of colleagues, friends and other riders have been raving about the Desert Sled since it was first introduced. But truth be told, it’s not a bike which made me go ga-ga over. That doesn’t mean it’s not appealing in any sense. Sure, it has everything going for it, and those 1970s dirt bike looks with off-road capability certainly make it very, very attractive. But if you’re looking for a do-it-all bike, the wide handlebars, lack of any wind protection will leave you exposed to the elements if you’re thinking of covering 400-500 km on a day. And the heat from the L-twin won’t be very enjoyable when you’re stuck in bumper to bumper traffic during everyday use. The Scrambler Desert Sled is near perfect for someone upgrading from a smaller motorcycle, or for someone who wants to get back into motorcycling after a hiatus, or for someone who wants to begin learning how to ride off-road. The Desert Sled does offer a unique proposition, with retro-cool looks, entertaining performance and decent off-road ability. 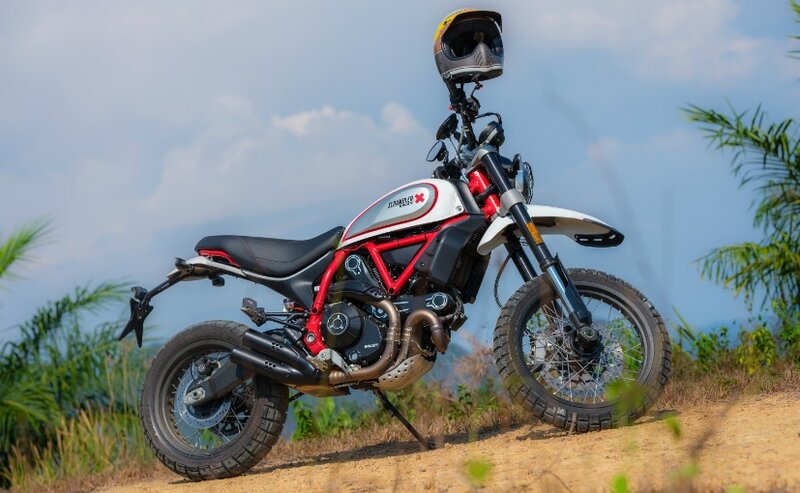 The 2019 Ducati Scrambler Desert Sled will be launched at around ₹ 10 lakh (ex-showroom), and at that price, it’s a tad expensive, to be honest, if you look at pure value for a leisure motorcycle. But, if you have that kind of budget, by all means, take a close look at the Desert Sled. You can use it for the occasional long ride, and certainly do decent off-road riding on it. Most of all, you can look hipster cool posing with it as well, if you’re not the kind who’d go dirty dancing with it.